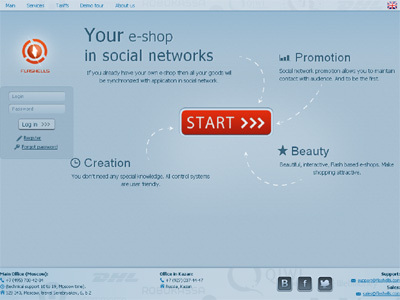 Service is designed like SaaS (software as a service) for integration of already existing e-shops (or creation of e-shops from the ground up) in social networks like FaceBook, MySpace, etc. with future promotion in mind. Previous post: Siri Humor, Funny Siri Responses, Things Siri Says – Siriously?